Join your Shootaround crew for some fake trades, pipe dreams, and beautiful, dark, twisted, deadline day fantasies. The worst-case scenario is that this is the annihilation of many teams at once — but at least it will be entertaining! The Lakers reunite Dwight Howard with his old pal Smith, who gets reunited with his own Cliff Paul; Biedrins slides in at the end of the bench. The Hawks build around Al Horford, Gasol, and Evans, who gets a little more institutional structure — for him, this is one of those “change of scenery” reboots. The Kings lose two streaky young stars but acquire solid cornerstones for the future, whatever that concept means to them. The Warriors get a couple experienced guards who, on any given night, might offer a passable impression of a fourth-quarter triggerman. They also get the budding Clark and Cousins, a combustible talent who could really benefit from a God-fearing coach. Ivan Johnson gets thrown in just to give the Warriors an edge in weirdness. Consider it an homage to 2006-07, when the Warriors traded a third of their team away in January and went on one of the most thrilling playoff runs ever. T-Rob?? James Harden 46 pts on 19 shots???!!!! basKETBALL!!!!!!!!!!!!!!!!!!!!!! Recent trade rumors for the surprising New York Knicks have coalesced around the geometrically-coiffed personage of Iman Shumpert and come in two flavors of 3-point shooter: Jared Dudley and J.J. Redick. The Dudley deal has been shot down; Melo spoke out against it, which this being the Knicks is important. 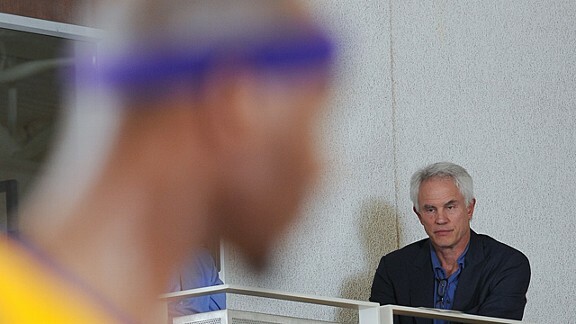 Then Shumpert’s agent, Happy Walters, denied rumors of a Shumpert trade request. The Redick rumor seems even more ephemeral — it would require more players and, perhaps, a third team; not to mention the complications from Redick’s looming unrestricted free agency, and his lukewarm comments regarding New York City. Still, the idea behind these rumored trades is sound: Since New York takes more 3s than any team in the league, trading Shumpert’s career 32 percent 3-point shooting (41 percent this year, but a tiny sample) for Dudley or Redick’s 40 percent 3-point shooting would better fit the Knicks’ 3-point-centric attack. They want to win now. The Knicks are the oldest team in NBA history, with five players older than 35. When Jason Kidd had his alleged Toni Braxton love triangle feud with Jim Jackson, Iman Shumpert was 6 years old. Now, I’d love to wax rational about the pros and cons of Shumpert-for-shooter deals and I realize this is ostensibly a Shootaround about players we’d like our teams to acquire. Thing is, rooting for the Knicks during the last decade has been like being locked up in a Zero Dark Thirty black site. Suddenly, after years of Layden-Isiah waterboarding, the never quite there Walsh-D’antoni years, and the high of the Lin interregnum (followed by the emotional body-slam coup de grâce of letting Lin walk), the Knicks are inexplicably good. This season literally feels like a dream. Critics are quick to say that Knicks fans overrate Shumpert. That may be so, but I think it’s closer to the truth to say we’re just afraid that changing something might wake us up. So leaving aside whether Dudley and Redick are better players than Shumpert — which, OK, they are — and ignoring the reading-of-entrails kind of discussions of Shumpert’s potential ceiling, for me it comes down to this: Shumpert is just a way cooler dude than either Redick or Dudley. 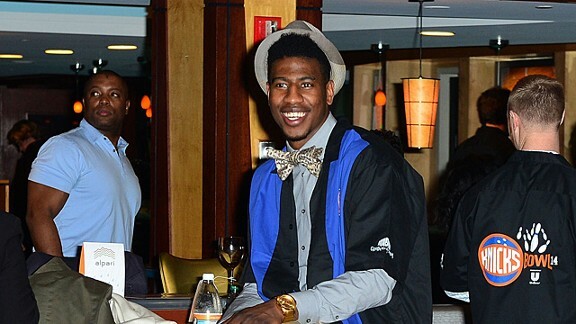 Shumpert’s hair continues its climb ever skywards in box-like perfection; he coined the Knicks first ever hashtag “#Knickstape”; and during a training camp workout in his rookie season, he trash-talked Mike D’Antoni’s brother Dan with “you don’t want this, hoe.” Repeat: He called Dan D’antoni a hoe. Those are things that don’t show up in a box score. The path to NBA success is pretty bipolar. The thinking goes like this: If you can’t be great, be terrible. If the pieces aren’t in place to make a run at the Finals, throw whatever pieces you do have out, be bad, get picks, rinse, repeat, start again. Objectively, I get this. But — and this may very well speak to being in my mid-30s or something — as a fan, the ambitions I have for my team are actually a lot more pedestrian. It’s been more than a decade since the Sixers have been within spitting distance of the NBA Finals. I don’t really care about being the prom king any more, just as long as I’m on the planning committee for the dance, you know? 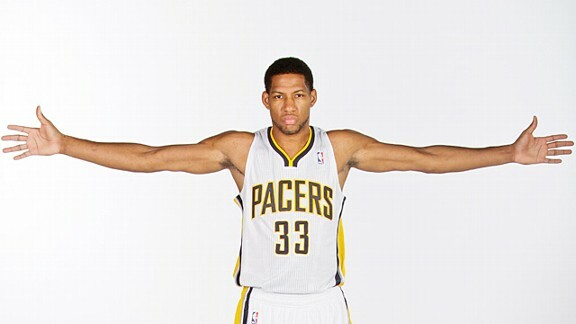 This is why I would like to see the Sixers make a run at Danny Granger. I am ready to be mildly entertained. I am ready to lose in the second round. I am ready to have a couple of nights, here and there, where the Sixers look like world-beaters. I am ready to have a guy who is really, really, really into Batman be the starting small forward for my team. How good is a Philly team built around Jrue Holiday, Granger, and Andrew Bynum? Probably OK. Probably middle of the pack. That’s a nice point guard, a nice wing (even if he’s almost 30, mildly overrated, and coming off tendinitis) plus “Andrew,” and “Bynum,” and “Andrew Bynum.” The thing is, it’s better than what the Sixers have now. I think it’s better than what the Sixers will have next season, even with Bynum, because — much as it pains me to say it — I think this is about as good as Evan Turner is going to get in a Philly uniform; definitely in a Philly uniform while being coached by Doug Collins. Turner, much like Derrick Williams in Minnesota, is at a point where his game does not warrant getting the ball enough for his game to get any better. I will parrot the advanced stats take on his game and say he doesn’t get to the free throw line enough and is still a liability from beyond the arc. As someone who has watched a lot of his games I can say this: he makes some smart plays, he makes some dumb plays. But at the end of the day, just watching him, it’s hard to imagine him being much more than what he is now. Would the Pacers do this? Probably not. If you’re being optimistic, Turner gives the Pacers a role player who may learn how to defend under Frank Vogel. If, after a year, it doesn’t work out, he comes off the books. Nick Young? Nick Young gives them swag. This deal would probably snuff out any chance the Sixers would have of making the Finals for the next decade, but they would comfortably make the playoffs for the next three to five seasons. After watching this team lose to Minnesota on Wednesday, I’d be OK with that. This wouldn’t be the first time Gar Forman and John Paxson tried to make J.J. Redick a Bull. 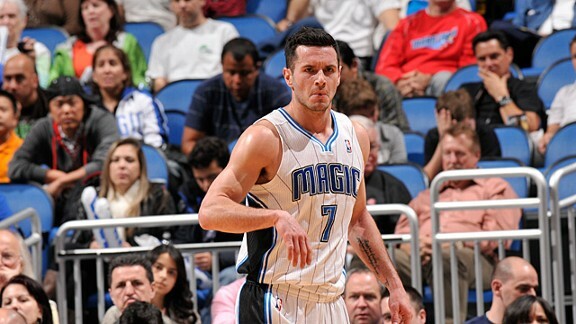 Two offseasons ago, the Bulls signed Redick to an offer sheet that was matched by Orlando. The money and rotation spot reserved for Redick went to Kyle Korver, but since Korver was dealt to Atlanta to save a bit of cash (wait, this becomes a theme), the Bulls have desperately needed more outside shooting. Bringing in Redick would create a reality much like the one Chicago was looking at two seasons ago. In terms of equity, I would argue the deal works. Orlando is reportedly only seeking a first-round pick for Redick, and here, they’d get that, along with Teague and what amounts to an aspiring contract. Hamilton’s deal isn’t fully guaranteed next year, and Orlando can buy him out for just $1 million (this could also be a tab effectively picked up by the Bulls via cash considerations). For the Bulls, Redick fills a pretty drastic need. Hamilton and Marco Belinelli just aren’t guys who are going to give this team enough at shooting guard, and even if Rose doesn’t come back, this would be a trade that involves a long-term extension for Redick. And that is where our biggest issue comes in. Let me do my best here to explain the Bulls’ salary-cap situation. I say my best because it’s very difficult for me to understand — both its ins and outs, and why it exists in the first place. First, let’s talk about why Teague and Radmonovic have to be included here at all. The salaries for Hamilton and Redick match on their own, so presumably, that swap plus the pick is what would be necessary to make this happen. Ahh, if only things were that simple. See, this offseason, the Bulls signed fan favorite Kirk Hinrich via a provision in the new CBA known as the non-taxpayer mid-level exception. Because of this, the Bulls are not allowed to exceed $4 million in cap payments at any point this season. If someone smarter than me can explain why this decision was made (and why, if they were going to trade Korver to Atlanta anyway, a sign-and-trade was out of the question), I’d gladly welcome it. That is not a joke. I’m really asking. If that were the end of the Bulls’ tax problems, I would build a statue of Gar Forman made of Al’s Italian beef and keep it in my living room. Unfortunately, it is not. The word out of Chicago at the moment is that because this is considered a lost year of sorts (sans Rose and all), the idea of paying the $3.7 million they currently owe in tax and starting the string of repeater penalties that kicks in this season isn’t all that agreeable to owner Jerry Reinsdorf. The quest to come in under the tax began with trying to trade Carlos Boozer and his $15 million price tag. In an unthinkable turn of events, that was not easy. The next step, which the Bulls are reportedly pursuing with gusto, seems to be looking for a team that will take Hamilton’s somewhat-expiring deal in return for nothing. The moral to this story is that despite playing in the nation’s third-largest city and leading the league in attendance while missing one of the 10 best players in the world, Jerry Reinsdorf refuses to pay the luxury tax. This aversion is likely what would do this trade in, even though it makes PERFECT BASKETBALL SENSE. 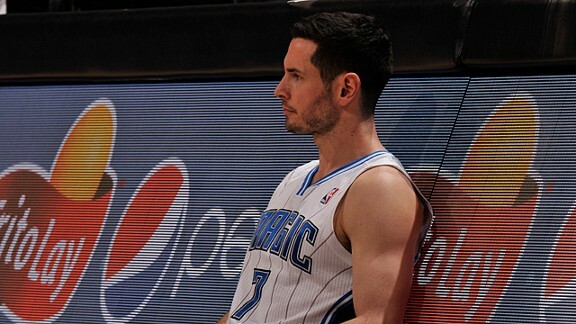 Redick is reportedly looking for a four-year deal worth about $40 million. Even if that contract started at say, $8 million next season, the Bulls would then have more than $81 million in salary, pushing them well into the tax. This could all be avoided if Boozer was amnestied, but c’mon. That’s just crazy talk. Why would a guy totally unwilling to pay the luxury tax give money to someone not playing for his team? And no, “to win more basketball games” clearly isn’t an acceptable answer. It’s no secret: The Nuggets are the toast of the League Pass Army. They run, they fly, they defend in unusual formations. One thing they do not do well? Shoot the ball. Especially from deep. Sure Gallo gets hot, and occasionally Ty Lawson remembers he’s an NBA Street character. But the team lacks a true sharpshooter — one of those guys you must account for late in a game, lest he poke both of your eyes out with the sais in his pockets. The man everyone wants is Redick, for obvious reasons. So let’s make that so. And in doing so, let’s bring in E’Twaun Moore, the frisky 2-guard who plays more minutes than he ought to on a ravaged Magic team. Redick will do what’s needed — when the Manimal and The Big Homie Kosta Koufos are out here eating the lunch of the poor souls in the paint, there will be a willing and able marksman on the other end of the arc awaiting the kick-out. So what do they lose? Overpaid, underused swingman Wilson Chandler; French ex-pat Evan Fournier, an intriguing rookie and the only Euro taken in the first round of the 2012 draft; and Kosta’s primary frenemy, Timofey Mozgov. Timo is a free agent at year’s end and will inevitably get overpaid by Mark Cuban. Plus, George Karl needs to come to grips with This JaVale McGee Life, and find more minutes for the $10-million-a-year big man/human autostereogram without developing psychosis. This doesn’t solve Denver’s “Um, who takes the final shot in a close game?” problem. But at least we’re getting more 3s and more JaVale. Win-win. Orlando gets Fournier, a reasonable piece for a team that’s at least three years away, while also nabbing Rodney Stuckey from Detroit. Stuckey’s having a huge down year, is hardly a true PG, and has no future with Detroit in the Brandon Knight era. And Orlando doesn’t have a backup point guard for creaky Jameer Nelson on the roster, so there’s a little ham with those eggs. With just one more year after this season on Stuckey’s deal, the Magic enter 2014-2015 with huge cap flexibility. That’s when Rob Hennigan’s plan really goes into high gear anyway — better to grease the skids. And oh yes, the Pistons — until PER Angel Andre Drummond was felled by back woes, they were emerging as another lurking League Pass squad. Detroit is similarly rebuilding, though not quite as far from contention as Orlando. The one thing they lack? Scoring punch. Chandler provides instant offense, and Timo “Don’t Call Me Morrissey” Mozgov fills the temporary big man gap before cashing in and underperforming. This deal is sensible, sound, and not extravagant. It has no chance. Being from Wisconsin, it seems like information filters into the general consciousness much more slowly than anywhere else. I think that’s why people took it as quite a shock when I told them the Bucks would be better off keeping an injured Andrew Bogut then trading him for Monta Ellis at the trade deadline last year. Clearly my attempts to warn them of the forthcoming pain were in vain. Fast forward to now and the Bucks front office and their fans have finally caught on to the Monta Ellis act, only it’s probably too late for either party to do anything about it because the rest of the league has too. It’s sad, really, because I write about the NBA for a living now and have to literally force myself to watch my hometown team once or twice a month just to make sure I’m up to speed on what they’re doing (And every time I see that Monta and Brandon Jennings are still shooting — a lot). Ellis isn’t the sole reason for that — the team’s insistence on throwing millions in extensions at so-so players and their previous coach’s maddening rotations also factored in — but his partnership with Jennings in Milwaukee’s backcourt plays a huge part. So to make this team watchable again, I really hope the Bucks can find a taker for Ellis by tomorrow night. I don’t care if it takes John Henson, Tobias Harris, and multiple first-round picks, just do whatever is necessary to make him go away. If not, I propose an unprecedented move: Trade him to Siberia. 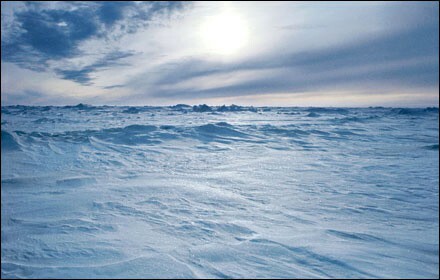 Put a hoop up in the arctic tundra, give him a rack of basketballs and let him shoot ‘til his heart is content. Or maybe he can take up bandy, which I hear is quite popular up there, and become a high-volume shooter in that sport too. I honestly don’t care what he does as long as he doesn’t do it in a Bucks uniform after today.